Relax and unwind in a compact, sleek massage chair – the perfect addition to your living space. The iJoy Active 2.0 simulates the hand techniques of professional massage therapists, including Orbital, Stretch, and Glide motion with the perfect amount of pressure for effective results. Choose from three massage auto-programs designed to keep you active. The Think program refreshes your entire back, Perform relieves neck and shoulder tension, and the Recharge program rejuvenates your lower back. The iJoy Active 2.0 pays attention to the details, including a tethered remote control that stays close at hand for ultimate convenience. A sleek, stylish chair, the iJoy Active 2.0 comes in deep Espresso or stunning Bone upholstery. 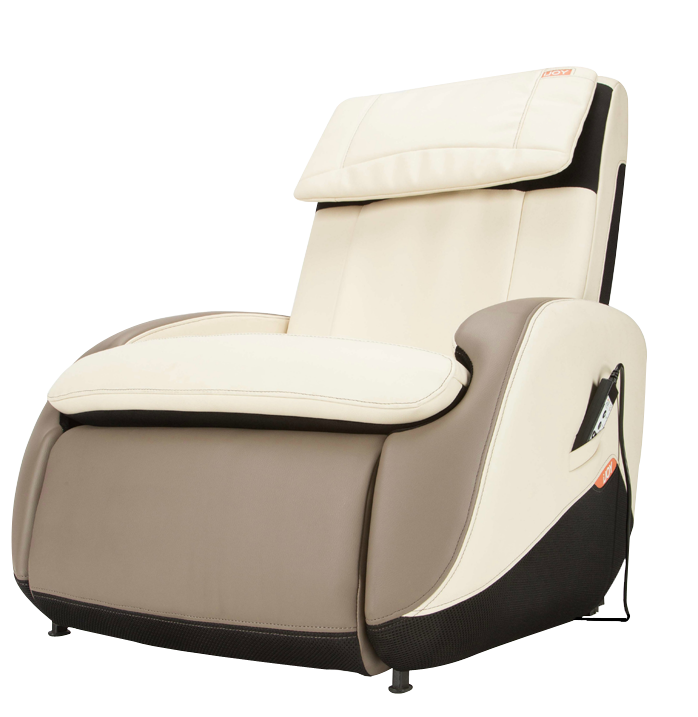 Its minimized footprint makes this massage chair a perfect option for rooms with limited space. The iJOY Active 2.0 allows you to enjoy a relaxing massage in any size living space, elevating your lifestyle and performance so that you can keep your mind and body active.